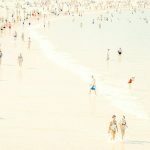 When it comes to reproduce analog works (oil, watercolor, photography, negative or transparency), the first step is to perform a scan or digitalization as we name it. Once we have this raw file, it is optimized (levels, contrast, detail, etc…) to be the most faithful as possible to the original. A first test printing is performed, always in a conservative way to avoid destroying information contained in that file. Additional file corrections needed, will only be made according to client instructions. The first test print is always free. Additional test prints are charged at 50% from regular price list. When the digital file is provided directly by the customer, whether digital native created or digitized from an analog original, our routine workflow is also performing a test print. This free of charge test print, may be sent to the customer for evaluation. If after evaluating the test print, the customer believes it is necessary to apply some changes to the file, proceeds to do so and send us a new file for final printing. In the process of “Test Prints” described above, although possible, free of charge and included in our services, most of our clients delegate to our experience criteria to make the changes we believe necessary for a successful printing. 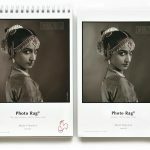 GraficArtPrints supplies hologram packs by the German firm Hahnemühle. 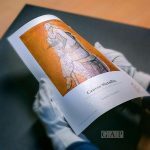 Each item consist on a deckeled edge sheet of paper with UVA security fibers, for custom printing certificate of authenticity, along with two holograms with the same numbering, one of which is preferably placed on the back of the work of art, while the other attaches to the front of the certificate of authenticity. 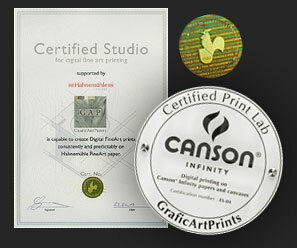 We recommend to every artist to personalize his/her own certificate of authenticity. The issue of this document is highly recommended in case of commercialization, as it will facilitate referrals to collectors and museums, as well as providing added value to the work of the artist. 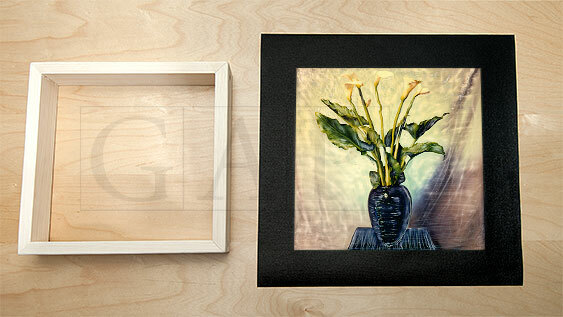 In an effort to provide better service, GraficArtPrints also offers canvas stretching services. 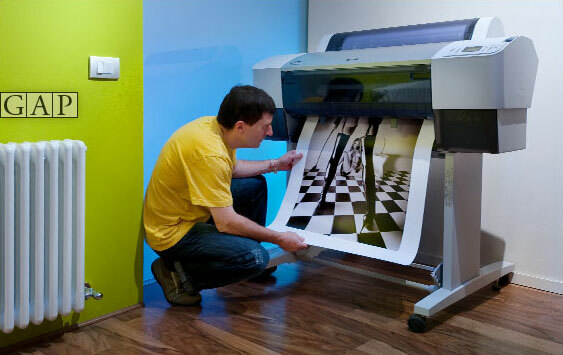 Jesús Coll, co-founder of GraficArtPrints, inspecting a printing process on an Epson StylusPro. Greg Gorman, showing Jodie Foster and Brad Pitt portraits, printed on an Epson StylusPro. 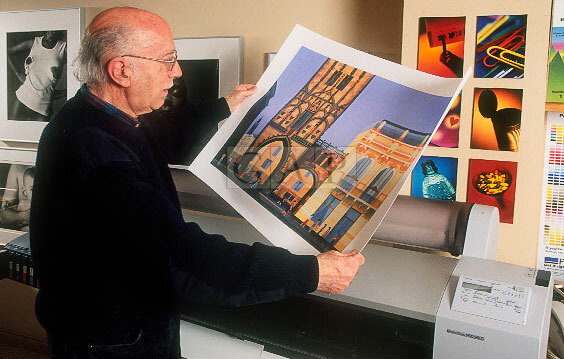 Santi Estrany, in the former GAP premises, inspecting one of his works printed on an Epson StylusPro. 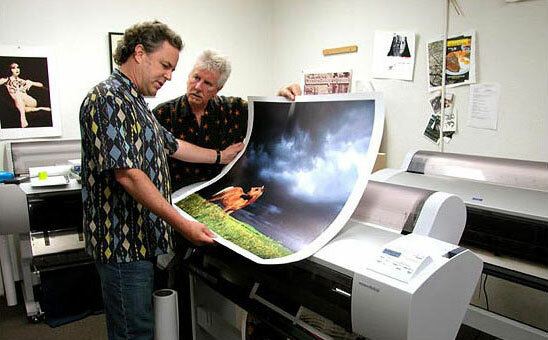 Pioneers on fineart giclée printing, Mac Holbert and Graham Nash from Nash Editions on Manhattan Beach, California, inspecting a photograph by Stephen Wilkes printed on an Epson StylusPro. 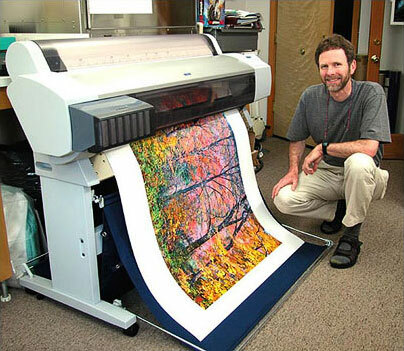 Joseph Holmes, Berkeley, California, printing one of his delightful landscapes on an Epson StylusPro. 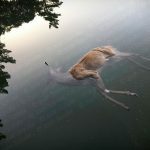 Photographs © by their authors and used with permission. We inform you that GraficArtPrints will be closed during summer holidays from 9th to 31st July.